Do you occassionally stop yourself from buying cakes from bakeries simply because you could probably make it yourself? Furthermore it may even taste better as you know what ingredients goes into it. You are also likely not to compromise on using better quality ingredients. I think it is probably something that all of us bakers go through. My pantry is always stocked full of baking ingredients and I really don't need to go to the local stores to buy anything if I fancy to do some last minute baking over the weekend. So these blackberry cupcakes were put together on a spur of a moment. The blackberries and limes were already in my refrigerator before I even thought of making these cupcakes. These freeze well for about a month but you probably won't have any left overs as they are really yummy - soft and moist. 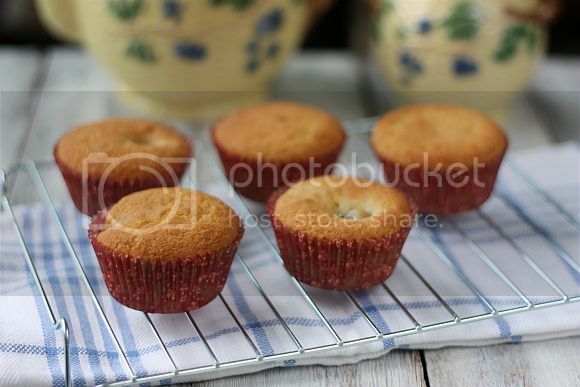 Recipe Adapted from "500 cupcakes & Muffins by Fergal Connolly"
1) Preheat oven to 175C. Place 18 paper lines in a muffin tray. 2) Beat butter and sugar until soft and fluffly. Add the eggs slowly and mix well. Add in the vanilla extract and zest and beat to incorporate. 3) Sift the flour and baking powder. Add in 3 additions alternating with milk. Beat until just combine - do not overbeat. 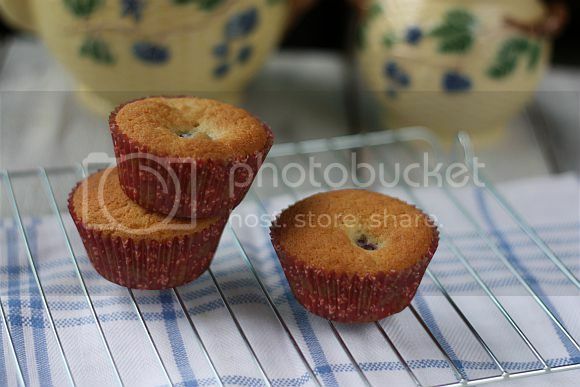 4) Dust the blackberries with 1 tsp of self raising flour and then fold gently into the batter. 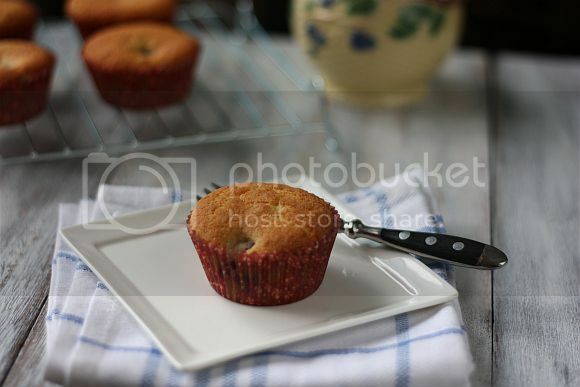 5) Spoon into cupcake liners and bake in oven for about 18 - 20 minutes. Remove and leave to cool completely before adding the glaze. Alternatively just dust each cupcake with icing sugar to serve. Mix the sugar, zest, lime juice and boiling water in a small saucepan. Bring to a boil until sugar has completely dissolved. Simmer for 5 minutes. Remove from heat, cool slightly and then spoon over each cupcakes. I know what you mean about not buying from the bakery and whipping up some at home....I'm like that all the time. My girls will ask me, "mum, can you buy this? " I'll always tell her I can make it for her, lol! 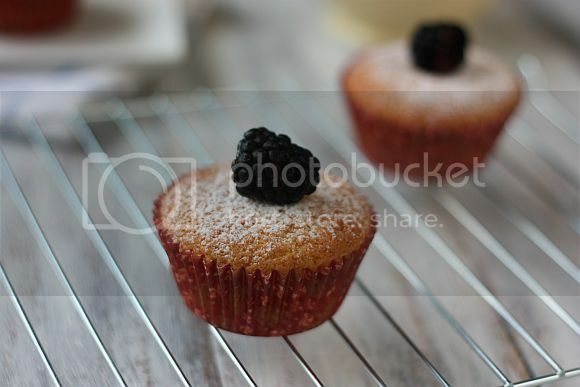 Btw, Lovely blackberry lime cakes! The tangy sweet taste must be gooood! I'm planning to bake Some strawberries and cream cupcakes tomorrow too, heehee. Haha... guess we are in the same boat! Nice, Korean strawberries are in season again. Just had some in fact and had made a strawberry tart on Friday as well. Jo, the blackberry cupcakes are very pretty. Would love to try it too. Thanks for sharing. you are right, i have so long did not visit to a bakery shop, hehehe..your blackberry cupcakes sound simple and yet look yummy! These cupcakes are perfect either for the breakfast or the afternoon tea snack! 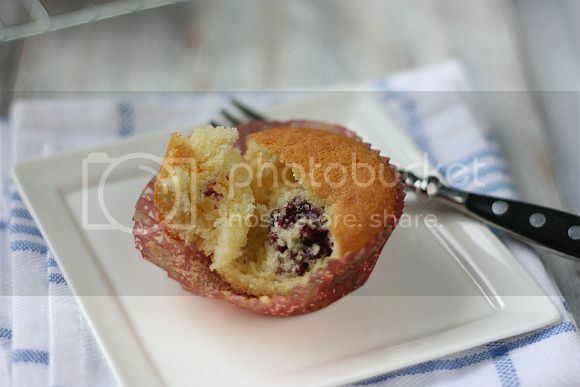 I love blackberry lime cupcake.It really testy.I really inspire from this blog for the make it at home.Thanx to share with us.